The futuristic armored exoskeletons we marvel at in movies like Iron Man and the robotic “Luke Arm” of the Star Wars saga are now real inventions. An exoskeleton suit sits in a chair waiting for Sgt. Dan Rose, who was paralyzed while serving in Afghanistan, to demonstrate its use. Two former Wall Street traders, Marc Morgenthaler and Christopher Meek, have created SoldierStrong, a Philadelphia-based nonprofit start-up that fills the gap between veteran amputees who want the space-age technology and the high cost of paying for it. SoldierStrong funds the purchase of expensive prosthetics, like a robotic arm or the $150,000 Ekso Bionics walking suit, with donated money. Then it donates the devices to local centers like Magee Rehab, where veterans can practice walking again or use prosthetics with moving fingers and gripping hands. “There are 100,000 veterans with spinal-cord injuries who could use a medical device like this,” Meek said at a Friday presentation to attract investors at one of former Eagle Ron Jaworski’s Breakfast Clubs America (BCA) events at the National Constitution Center. SoldierStrong also is working with Segway inventor Dean Kamen and other for-profit companies to create even more prototypes. Kamen invented the “Luke Arm,” the one Luke Skywalker receives in The Empire Strikes Back and that the Food and Drug Administration approved for commercial use in 2014. The arm’s official name is the DEKA Arm System. Created at DEKA Research & Development, in Manchester, N.H., it was funded by the federal government’s DARPA Revolutionizing Prosthetics program for soldiers on the battlefield. Meek said Kamen was thrilled to create futuristic prostheses for wounded veterans, particularly paralyzed vets who are able to regain the use of their hands and even walk again using these devices. So far, SoldierStrong has purchased a few Ekso Bionics’ robotic exoskeletons – literally wearable robots – to augment walking for paralyzed soldiers. Ekso’s first commercially available product, the Ekso GT suit, has helped people such as Sgt. Dan Rose, a paralyzed veteran of the Army’s 428th Engineering Company. He was wounded in Kandahar, Afghanistan, in 2011, and lost the ability to walk. Rose got out of his wheelchair Friday, strapped on the exoskeleton in front of a packed crowd at the BCA event and received a standing ovation. 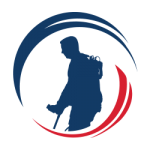 SoldierStrong’s mission now is to raise more money to buy as many walking suits and bionic arms as they can for veterans. And there are potentially other health-care uses. “We foresee that these devices could even be used to treat stroke victims,” Meek said. 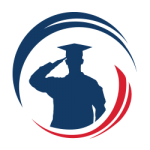 SoldierStrong’s advisory board members include ex-Eagle and former U.S. Rep. Jon Runyan; Linda McMahon, cofounder and former CEO of World Wrestling Entertainment (WWE); and local real estate broker Lisa Silveri. “When my surgeon told me I was a candidate for the device, I thought it was like winning a Powerball ticket,” Rose recalled. 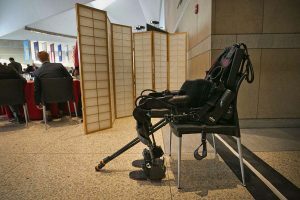 Often times, “people have to see a paralyzed veteran get up and walk across a room to see how amazing these devices are,” added Runyan, who came to support Rose at the event. 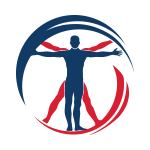 SoldierStrong also pays for iWalk’s BiOM ankle, which has been commercially available since 2011, and Myomo’s myoelectric prosthetic bracing devices that restore mobility. Meek said the nonprofit was hoping to expand from Philadelphia to other cities this year. View the main article here.